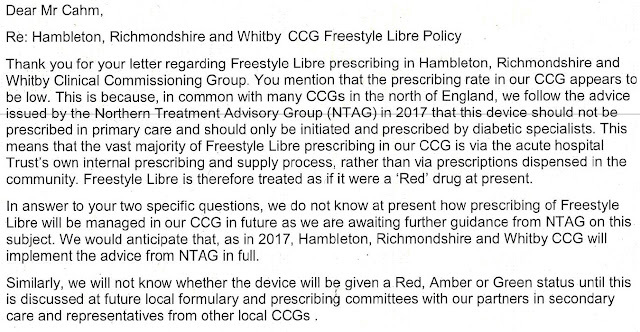 Thanks you for your email with attached letter dated 21/03/2019 to Mr <removed> regarding Hambleton, Richmondshire and Whitby CCG Freestyle Libre Policy. Your email has been passed to the Patient Relations Team for responding. 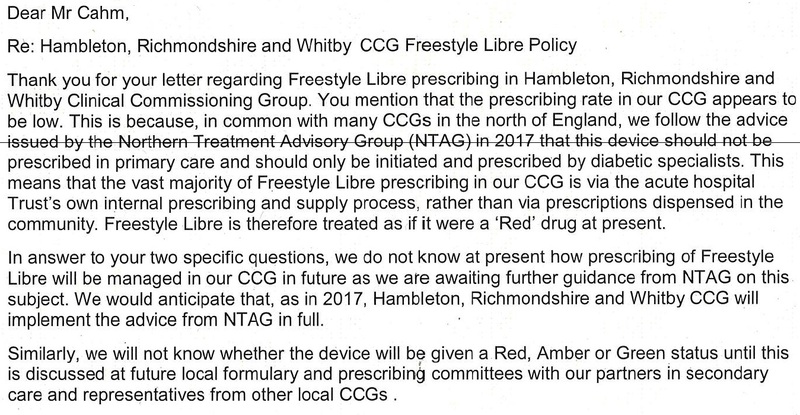 In accordance with NHS guidance we aim to respond to you more fully within 25 working days on receipt of your original correspondence, which would be 29 April 2019. If for any reason we are unable to do this, we will contact you with an update on progress.